Regardless of your industry or sector, staying ahead of the competition is vital. While it is sometimes smart to stand out from the business crowd, this must be balanced with the risk of falling behind and preventing future growth and expansion. One key area of consideration is technology. While this topic is massive, many models offer businesses the opportunity to streamline operations, reduce HR costs and enable greater control over finances. With this in mind, what technology could have the greatest impact on enterprises moving forward? "Organisations acknowledge the importance of IT when optimising and building their business." Robert Half Recruitment polled more than 900 chief information and technology officers in eight countries, including Australia. According to the global results, the biggest technological impact is expected to be IT security over the next five years - cited by 38 per cent of respondents. This was followed by cloud technology (26 per cent), social media (17 per cent) and mobile technology (11 per cent). While protecting information and data from cybercriminals is vital in today's society, it seems Australian business leaders have other trends in mind. When the Australian results were isolated, cloud computing (37 per cent) marginally topped IT security (36 per cent). Robert Half Senior Managing Director at Asia Pacific David Jones said there are many new and exciting innovations in the world of cloud computing, and Australian organisations are in a great position to take full advantage. "As we move towards faster more reliable networks including the rollout of the Government's National Broadband Network (NBN), there will be greater ability to capture the benefits of working remotely by harnessing improved access to cloud technology," he noted. Additionally, Mr Jones highlighted the need for Australian businesses to think about technology as a way forward, not just a cost. "No longer is IT seen as a back end function of a company. Organisations acknowledge the importance of IT when optimising and building their business," he summarised. 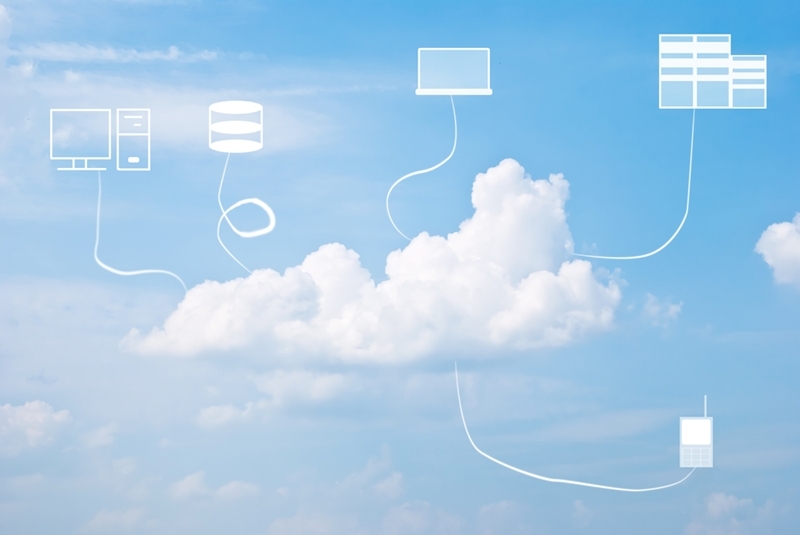 Could the cloud assist your growing business? If your business has yet to experience the benefits of a cloud computing system, findings from Infosys suggest that you could already be behind the eight ball. In its 2014 Simplify and Innovate the Way You Consume Cloud report, 86 per cent of Australian enterprises have been using cloud technology for more than 12 months. This figure was much higher than the 50-60 per cent results found in Germany, France, the UK and the US. With 2016 just a few weeks away, now is the perfect time to adopt these functions and start the new year off on the right note. For more information on how to get started, contact the team at Advanced Business Manager today.